Australia is a leader in an array of research fields, with internationally recognised higher education and research capabilities. The World Economic Forum's Global Competitiveness Report 2013-14-ranked Australia eighth in the world, and first in the Asia Pacific, for the quality of its scientific research institutions. Australia also ranked 15th for university-industry collaboration in research and development (R&D). Industry-research partnerships are valued for driving economic prosperity and productivity as well as addressing business, health and environmental challenges. Government and private non-profit expenditure on R&D in New South Wales (NSW) totalled $1 billion in 2011-12, while the state's businesses spent almost $6.4 billion. NSW accounted for 76% of national business expenditure on R&D in financial and insurance services and 52% in information media and telecommunications in 2011-12. Additionally, the state's higher education organisations spent almost $2.4 billion on R&D expenditure in 2010. In addition to its role as a financial services hub, New South Wales is an internationally recognised financial services R&D centre. The Capital Markets Cooperative Research Centre (CMCRC), the Securities Industry Research Centre of Asia Pacific (SIRCA) and the Centre for International Finance and Regulation (CIFR) are powerful consortia of industry, researchers and government, providing quantitative analyses of world financial markets, policy and regulatory assessments and advice, and delivering technologies and services for surveillance, communications and operations in the securities, insurances and related markets. New South Wales is an international leader in fundamental and applied ICT research and vocational and higher education. The state is headquarters to National ICT Australia (NICTA), Australia's largest centre dedicated to ICT research and innovation, as well as Australian Centres of Excellence in robotics, photonics, climate systems science, astrophysics, quantum computing and complex systems, delivering automated port and mining systems, military, transport and energy solutions, secure communications systems and the world's first functioning single-atom transistor. New South Wales based CSIRO researchers developed the technologies making the Local Area Network (LAN) fast and robust, enabling wi-fi networks around the world today. New South Wales energy and resources expertise includes Australia's first commercial-scale smart grid and the Newcastle Institute for Energy and Resources (NIER) which provides large scale test bed and pilot plant operations to reduce industry energy and water consumption, lower carbon emissions and create efficiencies in generation, conversion and distribution. New South Wales is also at the forefront of solar research and development, including silicon and organic photovoltaics, solar thermal and solar hydrogen. Resource sector development is supported by Centres of Excellence in earth dynamics, geotechnical sciences and engineering, research into energy pipelines and the Rio Tinto Centre for Mine Automation at the University of Sydney. 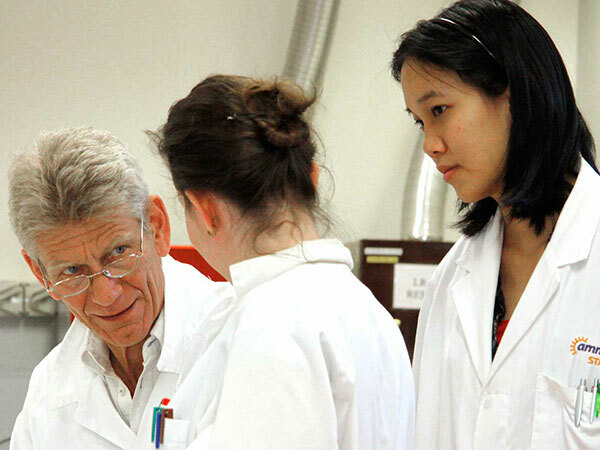 With the largest engineering school in the country, the University of New South Wales hosts expert centres in sustainable mining, petroleum, gas and mining engineering and mining-related groundwater research. New South Wales has extensive materials and manufacturing capabilities that underpin developments in a range of sectors, including therapeutics and medical devices, defence materials, and the construction, automotive and transport industries. Projects in the world-leading Intelligent Polymer Research Institute (IPRI) at the University of Wollongong include use of ink-jet printers to print human muscle and nerve cells to repair damaged tissue of living human cells, and the equally renowned Institute for Superconducting and Electronic Materials (ISEM) is delivering advanced batteries for electric cars, thin film technologies for medical devices and innovative materials to convert waste industrial heat to electricity. New South Wales has extensive futures modelling capabilities in built and natural environments, ranging from the SMART (Simulation, Modelling, Analysis, Research and Teaching) facility with data and analytical capabilities able to create a national integrated infrastructure plan, leading centres in climate systems and marine sciences, to the Hawkesbury "Trees With Hats" that are advancing our predictive understanding of the carbon storage potential of eucalypt forests. New South Wales health and medical strengths include cancer, cardiovascular and neurosciences, population health and systems research, clinical trial capabilities and bio-banking. The majority of Australian medical device companies are headquartered in the state. The state is internationally recognised for its 'omics capabilities (genomics, proteomics, metabolomics), and innovative approaches to chronic health challenges. This includes the Centre of Excellence in Population Ageing Research and the Charles Perkins Centre, which is holistically addressing obesity, diabetes and cardiovascular disease. The Australian Hearing Hub at Macquarie University integrates researchers, industry and services in hearing and related speech and language disorders; and includes the headquarters for Cochlear, a world leader in hearing implant products. Major research infrastructure located in New South Wales includes ANSTO, Australia's only nuclear research reactor, with expertise in radiopharmaceutical production and research into areas such as climate change, water resource management, and materials engineering. Others supporting innovation and product development include the Australian National Fabrication Facility (ANFF), the Australian Microscopy and Microanalysis Research Facility (AAMRF), TESTSAFE Australia, the National Measurement Institute (NMI) and the National Imaging Facility (NIM).